Multidisciplinary arts center Basilica Hudson and Le Guess Who? will host the fifth edition of 24-HOUR DRONE from noon - noon on April 27 and April 28 in Hudson, NY. The first wave of artists are now announced, including world-renowned Indian classical musician Maestro Khan with a performance of Indian classical/folk music for tabla, sitar and voice; Grammy-nominated saxophonist, flautist, clarinetist, composer and arranger Jay Rodriguez performing < MOTHER >; NYC composer and choreographer Kinlaw with the premiere of a new composition for textured voice and low-frequency oscillation; and composer Sondra Sun-Odeon, who will present a multi-instrumental dronal composition for multiple female vocalists. More artists to be announced soon. For more info, visit the Basilica Hudson website, where tickets are also available. Attend the event on Facebook here. 24-HOUR DRONE is an immersive, all-encompassing event featuring an international roster of musicians and sound artists collaborating and working in experimental, classical, non-western/traditional, durational and other genres incorporating drone to create a full 24 hours of unbroken sound. The first 24-HOUR DRONE was held in tandem with the Le Guess Who? in Utrecht, Netherlands in November of 2014, before arriving stateside the following April to open Basilica Hudson’s 2015 season. 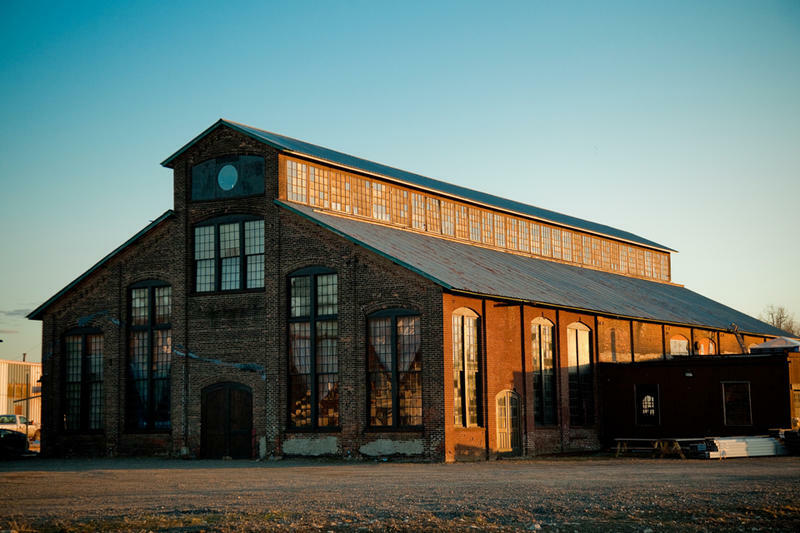 Set in the round against the raw, industrial backdrop of Basilica Hudson’s solar-powered reclaimed factory, with the spectacular Hudson River and Catskill Mountains on the horizon, 24-HOUR DRONE captures Basilica Hudson’s multidisciplinary arts center at its most experimental and experiential. Basilica Hudson is also inviting donors to underwrite artist performances and help raise funds towards the ambitious 24-HOUR event. All contributions are tax deductible and will go directly to artist fees. Interested donors can learn more here.